Hudson river updates . 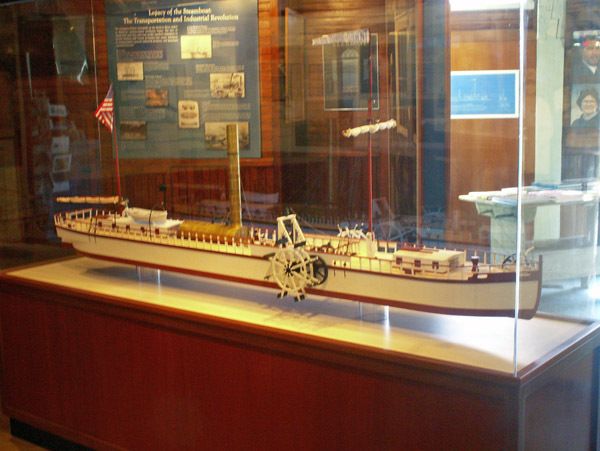 . .
Randy Decker has completed his model. 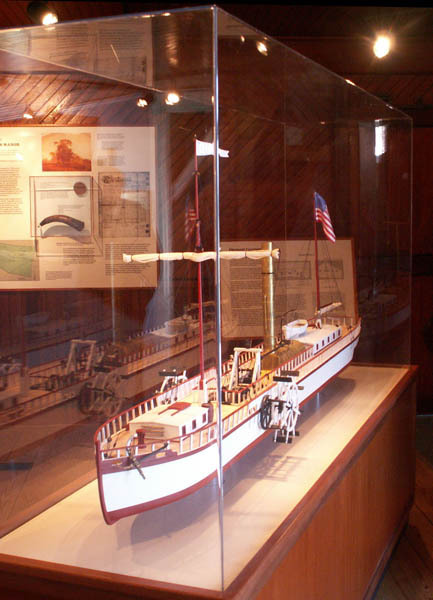 It's now on permanent display at the Clermont Historic Site. I'm impressed. See attached Pix. 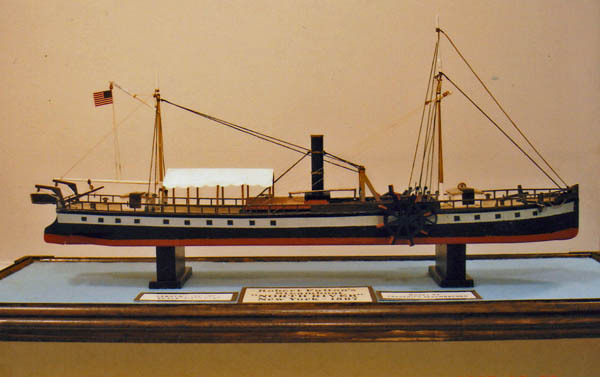 Click here to download an article about the Clermont model. Scroll down to see more photos below. 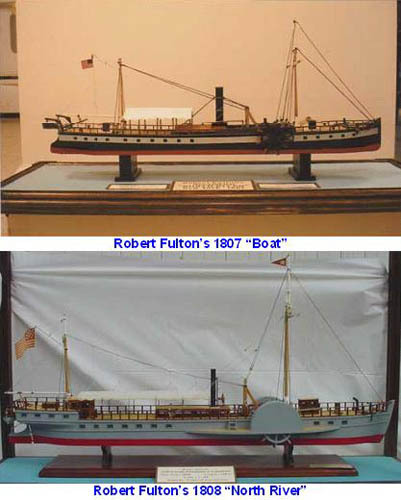 While on the subject of donation... Fred Aeschbacher is donating his Fulton Collection that includes a model of the 1807 boat, his research papers and articles that he has written for different magazines. Cathy and I will be driving up to the Rochester, NY area to transport the collection back to the Hudson Valley. 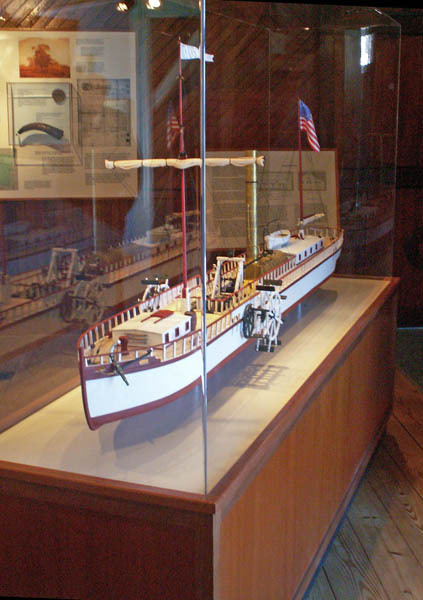 Fred has already donated his 1808 model to the Fulton Birthplace Museum in Quarryville, PA. 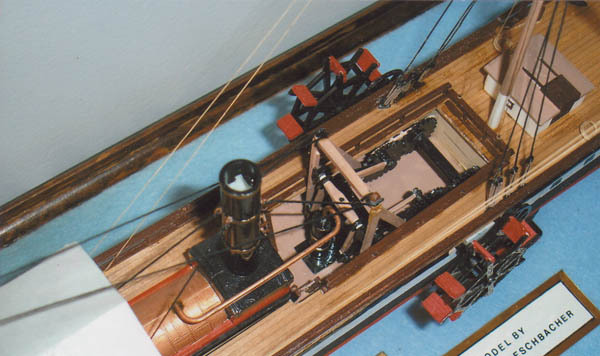 I have organized a group to build an animated model of the Boulton & Watt steam engine used by Fulton. 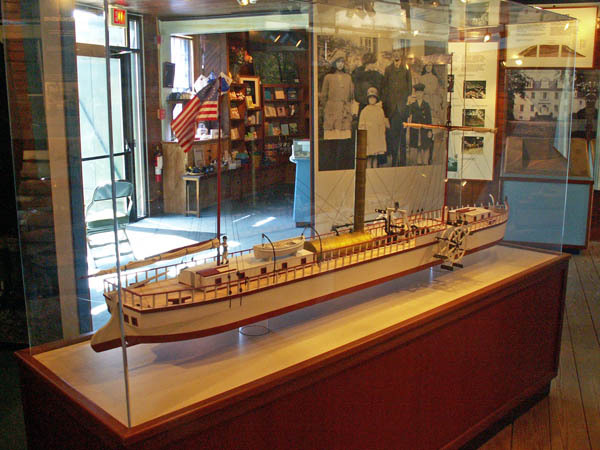 My proposal is to has an engine display to compliment Randy's boat at the visitor's center. 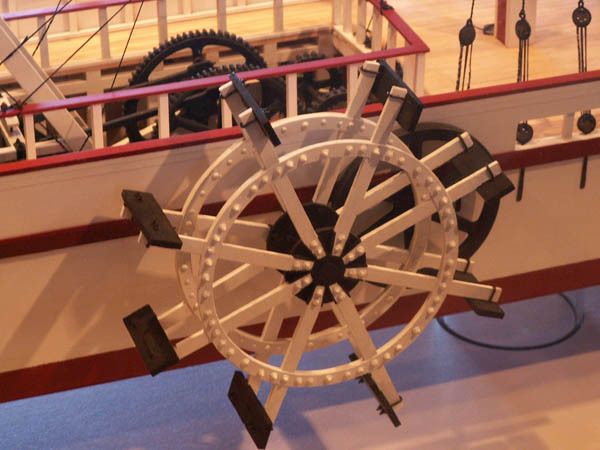 It will demonstrate how the linear motion of the engine was converted to rotary motion at the paddle wheel. I have made my presentation to the Director at the Site. He and I are being scheduled to make a follow-up presentation to the Folks in Albany. I'm pretty excited about the prospects. The 4 volunteers are spread throughout the Northeast. Baltimore, MD; MT Kisco, NY; Cohoes, NY; Deerfield, MA and me in West Hurley, NY. We been communicating by E-mail so far. I scheduling a kick-off meeting for the Clermont site sometime in June. It will give us all a chance to meet each other. I have met the NY folks but not the other two. 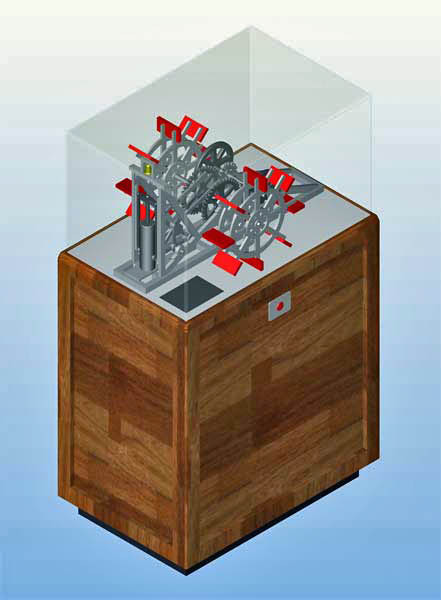 The above is my CAD model of the display. Simply put the engine will be activated via a DC Electric motor in the base cabinet by pressing the "red" button. 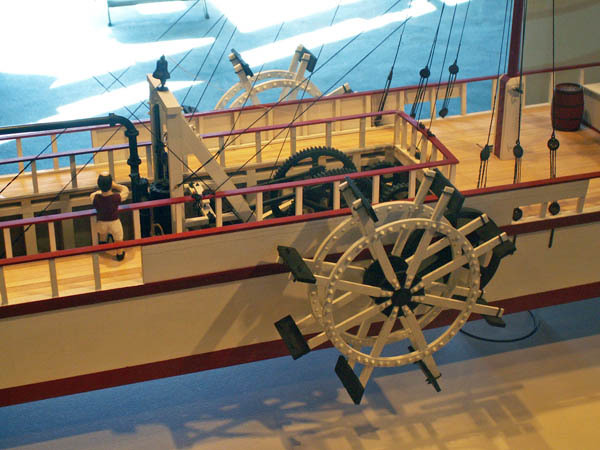 The linear motion of the engine will turn the paddle wheel through the bellcranks and associated connecting rods. Visit this group click here. 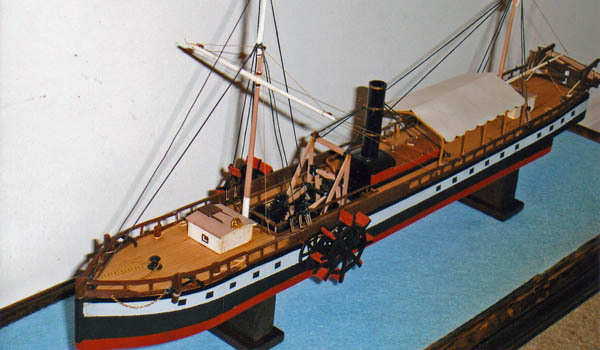 At the suggestion of one of the volunteers I create a "FULTON'S FOLLOWERS" Group in GOOGLE. The thought is that info can be exchanged amongst ourselves more easily. 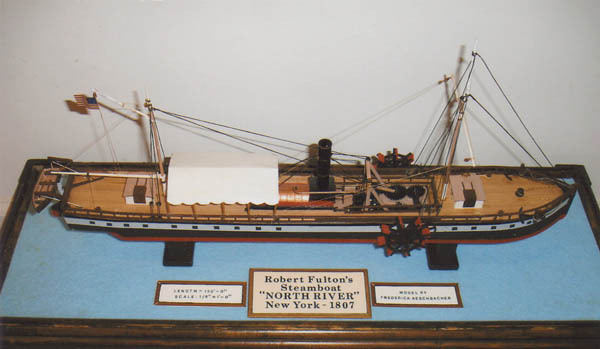 Also we might solicit more detail from other viewers of FULTON'S FOLLOWERS who might be interested. We are all volunteering our time and materials at this point. We are, however, looking at options for not for profit contributions. You may want to put the like under your photo. That's it! That's probably enough!